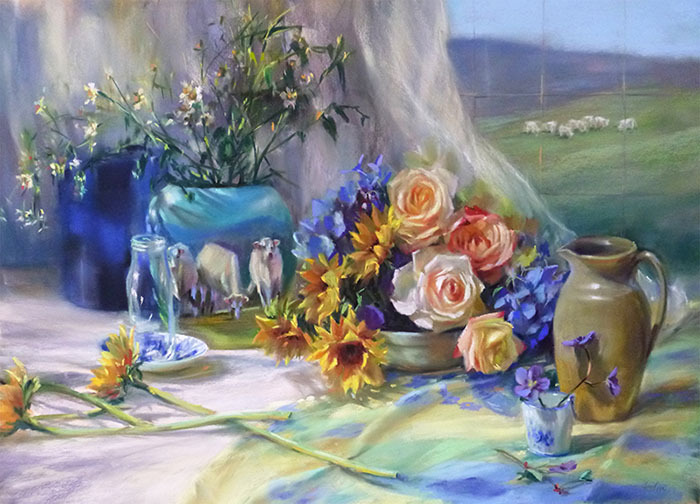 When in 4th grade in Laramie, Wyoming, Mary completed her first plein air landscape painting as part of a school project and the experience was thrilling and memorable, portending of a future to come, far more wonderful than she could have imagined at the time. 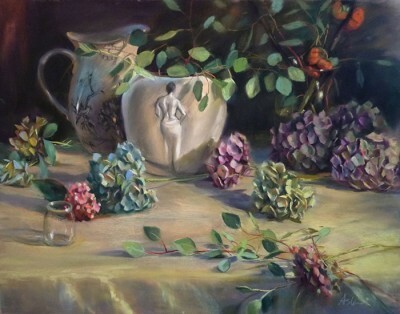 Despite a desire to be an artist, continuing to paint and taking a few classes in high school, yet not entirely sure how real artists actually made a living, she graduated with a Bachelor of Arts degree from the University of Washington in Seattle and got as close to art as possible, working as a cartographer for a few years. The drive to paint was unrelenting, though, and Mary was finally able to pursue her first love of representational painting by taking classes, reading (and re-reading) every book on fine art she could get her hands on, and drawing from the live model, which eventually led to completing many private commission paintings in watercolor and oil, and public commission paintings in acrylic as an Artist in Residence for the Stillwater School District in Minnesota, and in casein for large theater backdrop for the St. Croix Ballet Academy, Stillwater, MN. In the following years, she continued to refine her skills, delving into the medium of pastel and painting directly from life. 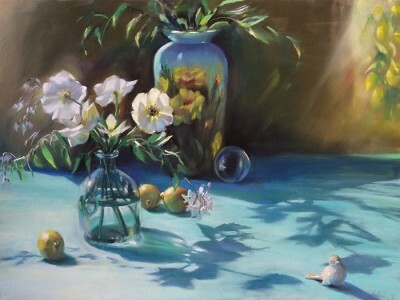 She also studied with several renowned artists and at the Gage Academy of Art in Seattle, WA and at the Watts Atelier in Encinitas, CA. 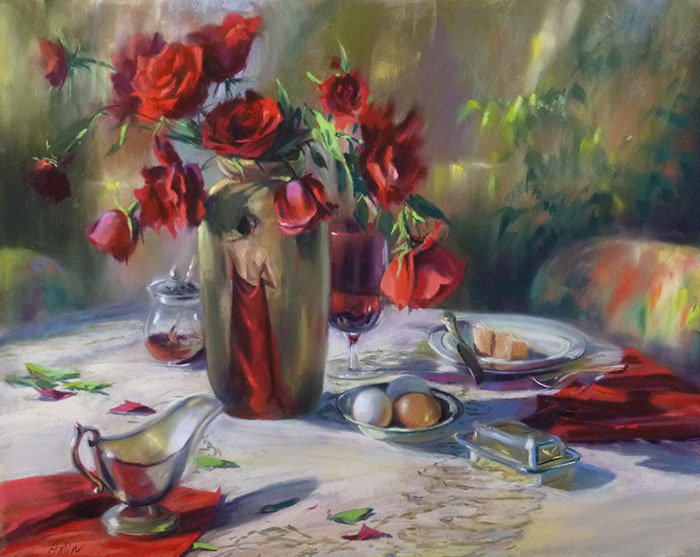 She has received numerous awards for her paintings, has been featured in The Pastel Journal and in several French art publications under the Pratique des Arts name. She is a Signature Member of the Pastel Society of America and the Northwest Pastel Society, and a Master’s Circle Member of the International Association of Pastel Societies. 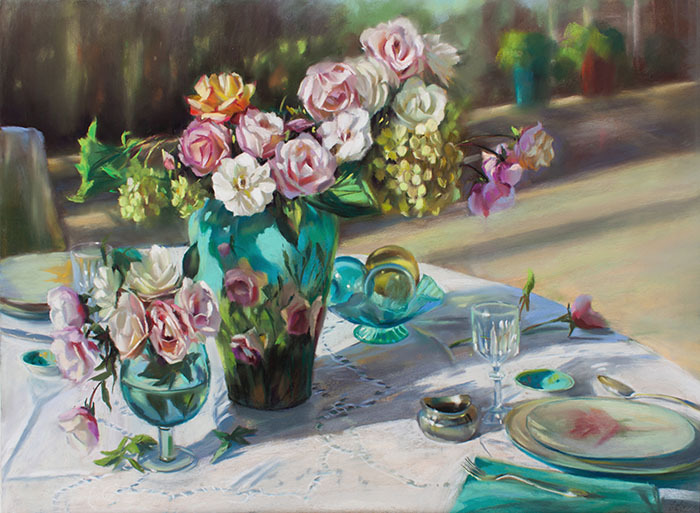 Her work has been widely collected and she is proud to show her art each summer at the Festival of Arts in Laguna Beach where 2019 marks her 10th year. 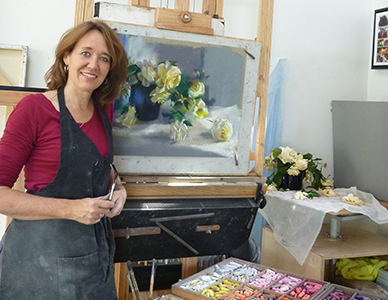 She can be found painting outside around San Juan Capistrano and in her studio in Laguna Beach, where she occasionally holds workshops, classes, and open studio events.